From rugby to surfing, South African's sure like a variety sports! 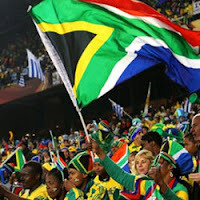 Springbok Casino has put together a collection of stories and videos exploring some of South Africa's favorite sports. And all through August they'll give you 25 free spins on their Secret Jungle slot game! "We're not just a nation of soccer, cricket and rugby players," said Springbok's manager, Daniel van Wyck. "South Africans are also into tennis, cycling and – my personal favorite -- surfing!" The country's magical 2000 km coastline and legendary waves give it some of the best surfing spots in the world, so South African surfers devote a lot of time and energy to riding the waves. Springbok's SA Sports pages include a short documentary video about South African surfer, Slade Prestwich. Rugby is one of the 'Big 3' in South African sports. The national rugby team is nicknamed Springboks. Springbok Casino's rugby articles include a video showing what makes the Springboks, the country's rugby team, so popular. Not surprisingly (since the country boasts some of the most beautiful golf courses in the world) South Africans are very fond of golf. They do very well in this classy outdoor sport thanks to great weather all year round, good coaching and access to golf courses for young golfers. A video on Springbok's golf page shows some amazing recovery shots on the PGA tour. Introduced by the British, cricket is the second most popular sport in the country. Today, South Africa plays a huge role in the global cricket scene, being a full member of the International Cricket Council (ICC). Tennis is increasingly popular in South Africa. Roger Federer's mother was born in Joburg and he credits the family trips to SA for inspiring him to start a foundation to help the less fortunate. Springbok's tennis page features a video of The Best Tennis Shots Ever. Springbok Casino, where all games are played in Rands and customer service is provided in both English and Afrikaans, offers hundreds of slots and table games from Realtime Gaming. The casino's free Android App is the easiest way for smartphone and tablet players to enjoy them. For the month of August, get 25 free spins on Springbok Casino's new Secret Jungle slot game.